New Client Area Theme and Layout! 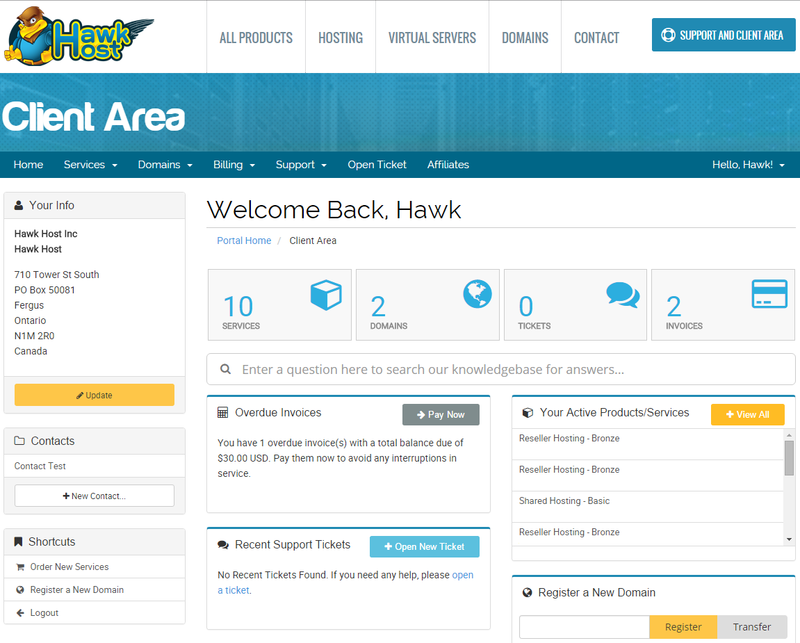 Our client area just got a face lift! The new theme and layout is fully responsive, 100% mobile friendly, cleaner, and easier to navigate. You can now manage your billing, support, cPanel and more from right through the client area! 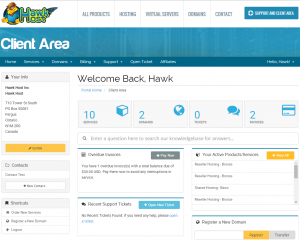 You’ll notice the changes when you first login. Right from your dashboard you can view your services, pending invoices, account details, and more. In addition to the layout and navigation improvements you should see a noticeable increase in the speed and responsiveness to the new theme. 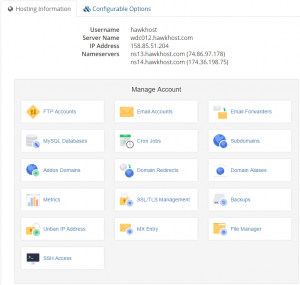 The full cPanel integration allows you to manage your email accounts, addon domains, MySQL databases, and much more right from the client area. 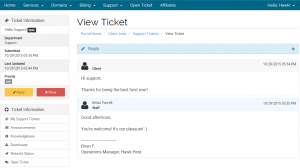 The other major improvement was to our support integration. We’ve had support through the client area for a while but this latest re-design brings an easier to use layout as a customer and a cleaner overall experiences. 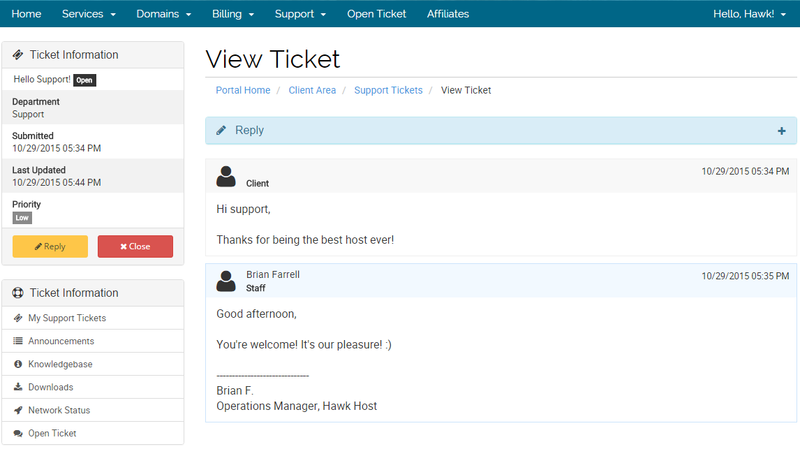 2 Responses to New Client Area Theme and Layout!